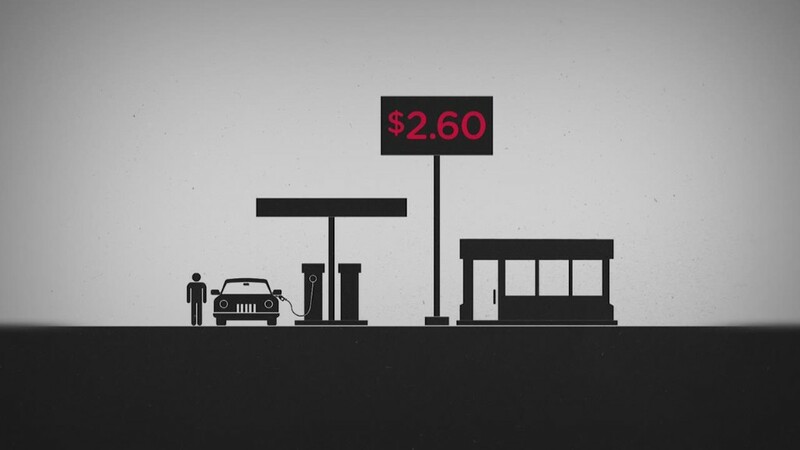 Turmoil in the oil market could knock Texas into a recession. The shale oil boom has been a blessing to Texas, making the state an economic standout during the past few years of ho-hum U.S. growth. But oil's dramatic plunge below $55 a barrel is scaring the shale industry. Since some wells are unprofitable at lower prices, shale companies will be forced to dial back capital spending and cut jobs. While cheap gas is likely to be a net positive for the U.S., Texas is poised to take a hit because of the pivotal role that oil plays in the state's economy. 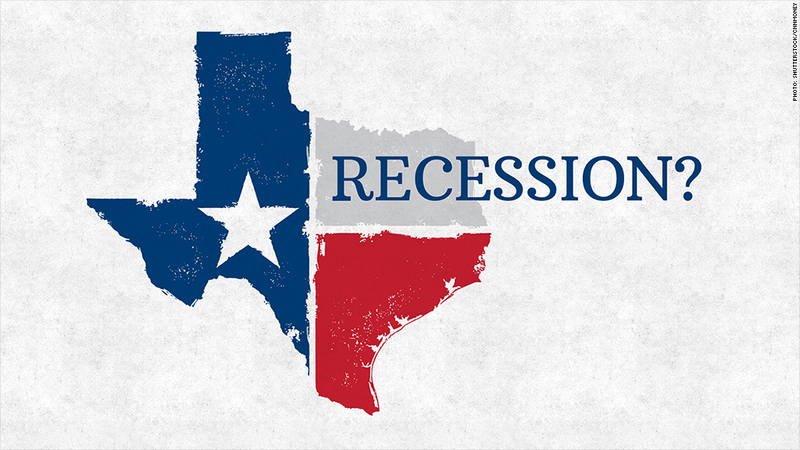 "We think Texas will, at least, have a rough 2015 ahead, and is at risk of slipping into a regional recession," Michael Feroli, JPMorgan Chase chief U.S. economist, predicted Thursday. Texas has become a dominant oil producer, boosting its share of U.S. crude production from 25% to more than 40% over the past five years. That heavy exposure to crude should go from a big positive to a big negative. Crude oil traded above $100 in June. Now the price is about half that at $54. 1986 all over again? The current situation has echoes of 1986, when oil prices collapsed and caused a painful recession in Texas but the rest of the country kept humming along. "The labor market response was severe and swift," said Feroli, pointing to a two-percentage point jump in the state's unemployment rate from January to March of 1986 alone. Of course, it's not entirely the same. As Feroli concedes, natural gas prices aren't collapsing now like they did in 1986, exacerbating the industry's problems. Also, the oil industry has undergone dramatic technological changes that have make extraction profitable at lower and lower prices. Real-estate, banking fallout: Still, JPMorgan believes Texas will bear the brunt of the pain caused by the oil meltdown, along with North Dakota, America's second-largest crude producer. .
"There are some reasons to think that it may not be as bad this time around, but there are even better reasons not to be complacent about the risk of a regional recession in Texas," Feroli wrote. The fallout of a recession in Texas could throw cold water on the state's hot real estate market and cause pain for regional banks. Home prices shrank 14% from their peak during the 1986 recession and hundreds of banks were forced to shut down, JPMorgan said. Representatives from Texas Governor Rick Perry's office were not immediately available to comment on the report.